[by Woorim Ahn] Boyfriend disclosed a music video’s teaser for its fan song ‘Promise’. On May 23, the group said, “Boyfriend’s 5th anniversary fan song ‘Promise’ teaser video is here. Please look forward to it on May 26” through its official SNS. 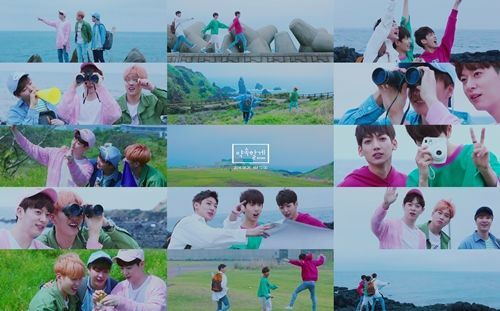 In the video, the members’ active appearances in Jeju Island caught the fans’ attention.